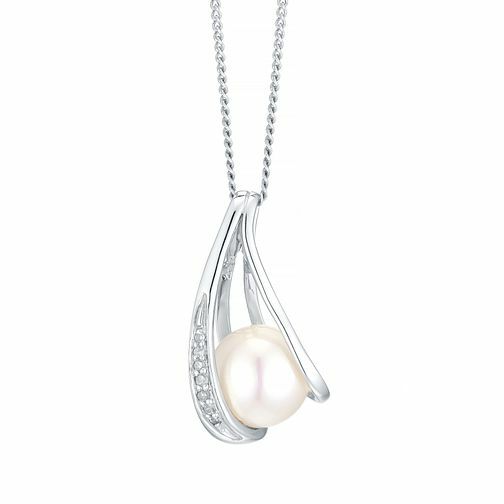 An elegant pearl drop pendant with a unique wave design. Featuring 9ct white gold and a single cultured freshwater pearl. Adorned with 5 points of diamonds, this is a truly elegant piece of jewellery for any occasion.